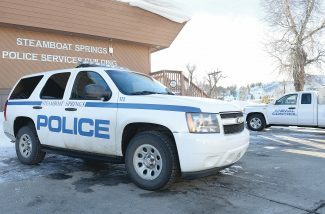 6:40 a.m. Steamboat Springs Police Department officers were called to a report of a burglary in the 1000 block of Pine Grove Road. People broke into a hardware store and stole a van. They were apprehended in Grand County. 7:02 a.m. Steamboat Springs Fire Rescue firefighters were called to help a person who fell in the 30100 block of Elk Lane. 7:21 a.m. Officers were called to a report of a man flipping people off and making gestures at Central Park Drive and Mount Werner Road. He frequently does that, and police could not find him. 10:35 a.m. Officers were called to a report of a man and woman who had been having an ongoing dispute related to child custody. 11 a.m. Officers were called to a report of a person in the 700 block of Amethyst Drive who was receiving harassing communication from a family member. 3:47 p.m. Officers were called to a report of a person who had voicemail messages that were sexual in nature in the 1200 block of Crawford Avenue. 4:13 p.m. Steamboat firefighters were called to help a person who was unconscious in the 1300 block of Sparta Plaza. 6:42 p.m. Steamboat firefighters were called to help a person having an allergic reaction in the 700 block of Conifer Circle. 7:56 p.m. West Routt Fire Protection District firefighters were called to help with an unattended death in the 200 block of Harvest Drive. 8:41 p.m. Officers were called to check on the welfare of a man in the 1700 block of Lincoln Avenue. Family members got in touch with the man, and he was fine. 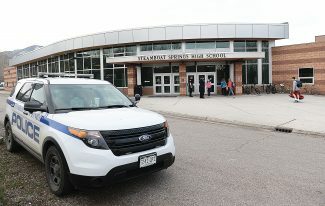 • Steamboat police had 25 cases that included calls for service and officer-initiated incidents such as traffic stops. • The Routt County Sheriff’s Office had 15 cases that included calls for service and officer-initiated incidents such as traffic stops. 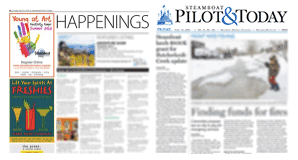 • Steamboat Springs Fire Rescue responded to six calls for service. • West Routt Fire Protection District responded to two calls for service.